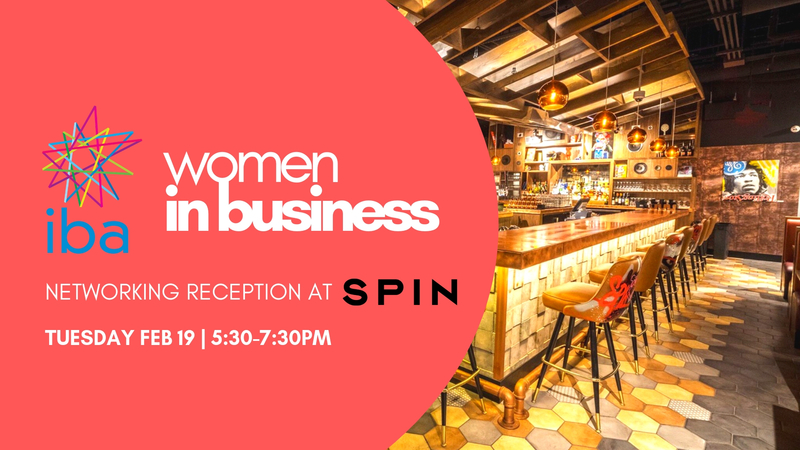 The IBA's Women in Business program invites you to a night of networking at SPiN! Come make connections to grow your business & advance your career in 2019. We'll have the opportunity for 5 folks to present a "marketing minute" pitching their services to the crowd – arrive early to sign up! This event is also a BYOM – Bring Your Own Marketing. Bring a stack of business cards, brochures, or other (small) marketing collateral to share! We'll have a table reserved for this purpose. Come see how you can support other women in business! "Women in Business" (WiB) is a program of the IBA which centers on the experience of all women—both cis and transgender—and non-binary folks, and creates a safe and empowering space to build connections to advance your business and career. We recognize that too often, the business world is dominated by people who identify as male. The WiB program seeks to provide a space for folks of any gender identities and expressions beyond male, to come together and get business done. Allies are always welcome to join us! Free for IBA Members, $10 for Non-Members. Cash bar. Advance registration is requested.